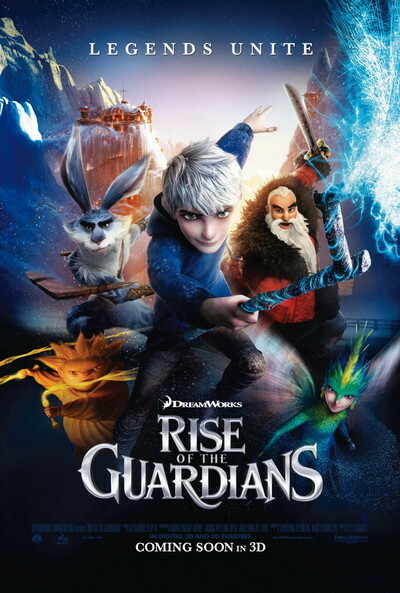 Story: When an evil spirit called Pitch becomes bent upon taking over the world by inspiring fear in the hearts of kids everywhere, a group of our greatest heroes --Santa, the Easter Bunny, the Tooth Fairy, the Sandman and Jack Frost - band together for the first time, determined to stand in Pitch's way. More than a collection of storybook subjects, The Guardians are also a band of superheroes, who possess their own special powers. Now joined in opposition of a common foe, the Guardians heed the call and combine their powers to defeat Pitch and protect the world from his campaign of fear.